A BDS 4" Coilover Lift Kit allows you to add bigger tires and will make your truck perform on or off-road. Adding a lift kit from BDS Suspension will make driving the trails or heading to the lake equally pleasurable. BDS performance coilover will allow for more articulation along with better ride quality. These coilovers are custom tuned for each application. BDS 4" Coilover Lift Kit include everything you need to get the ride height that your truck, SUV, or Jeep so rightfully deserves. 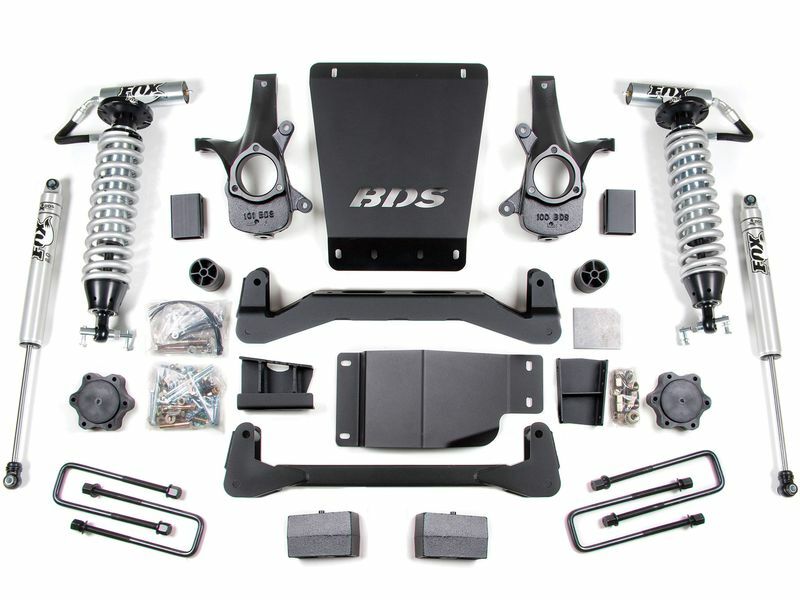 All 4" lift kits from BDS are designed specifically for your ride. So you can expect excellent performance, a smooth ride, and precision-fit components that work with your factory suspension. BDS suspension lift kits are backed by a lifetime warranty, so you can be confident that your truck or Jeep is going to ride great for a long, long time. Your truck deserves the best look possible and a BDS 4" Coilover Lift Kit will do just that. Get yours today and go off-road! Even though we recommend having your new lift kit installed by a professional shop, that doesn't mean you couldn't do it yourself. BDS suspensions lift kits alter your suspension and may require tools that most people don't have lying around their garage. You should also have your vehicle aligned once your lift kit is installed. If you have any questions or would like additional information, please give us a call.